Extra absorbent, cool cotton pad protects bedding. 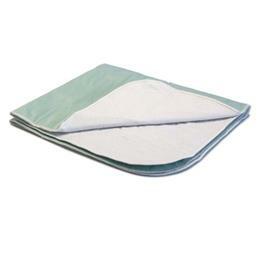 Three layers consisting of a bottom vinyl, an absorbent soaker middle, and a top layer of breathable cotton. Machine washable.